I joined into this course through a connection from ISTE. The invitation was sent out and I jumped into learning mode. The course site (SOOC4Learning) modelled UDL principles. 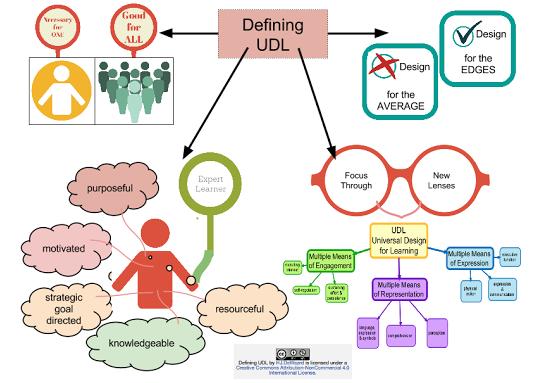 Each week of the course opened my thinking and expanded my understanding to UDL. 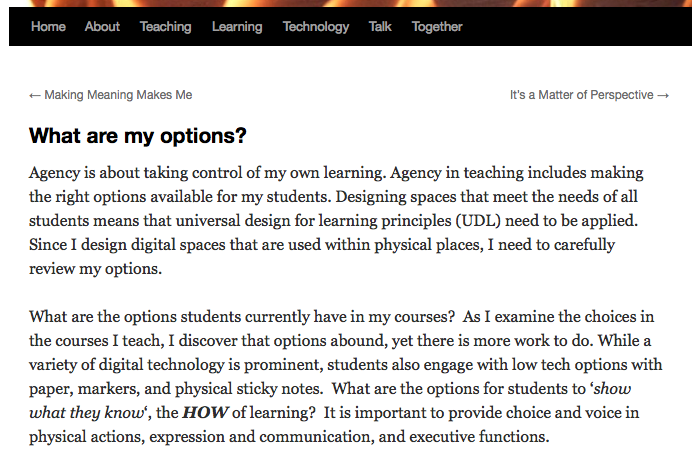 I began creating a UDL collection portal for my own work and some connections from the work of others in the course. For only a four week experience, this course will leave a lasting impression on my engagement, representation, action and expression as a teacher and a learner. HERE is the link to this NEW SITE which is still under development. 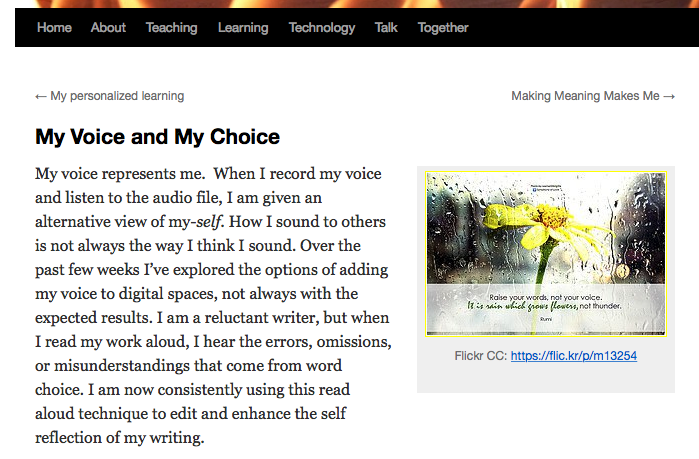 I created an Adobe Voice recording to accompany my blog post. I created a blog post "What are my options" and a symabaloo board.